The Husqvarna 345 chainsaw first appeared around 2002 and was replaced in the product range around 2008. Although machines are occasionally listed for sale on Ebay, Gumtree and other used markets it’s increasingly difficult to get hold of one of these machines in 2019. The great news is that many of these veteran machines appear to be alive and well if the wealth of availability of spares is anything to go by. There are over 270 listings on Ebay for related spare parts and more than 130 items on Amazon. Consumables such as bars, chains, air filters and fuel filters are easy to find and purchase. Engine spares, ignition parts and clutch kits are also still widely available. If you have an old 345 or have found a used one for purchase it looks like you’ll find all the parts you need to keep it running for a few years yet. The Husqvarna 345 chain saw is a useful all-round saw that is especially suitable for homeowners who are buying power equipment for the first time. 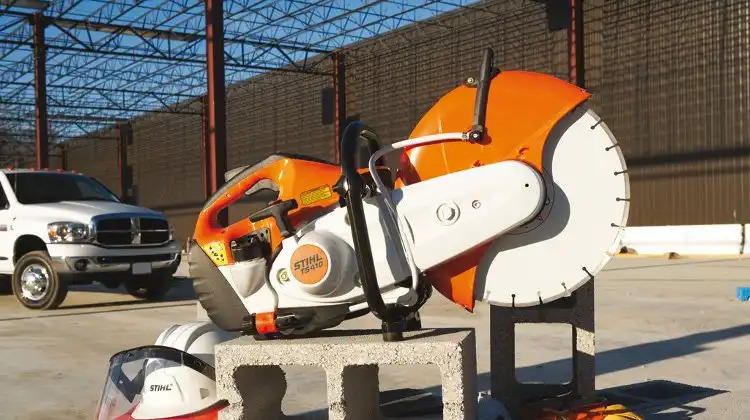 At 4.7 kg, the chain saw is not too heavy to operate comfortably. This makes it safer for first time power tool user because they have more control over the machine and can react promptly should a dangerous situation occur. Light weight also gives owners greater manoeuvrability, allowing them to adapt to a variety of tasks. Featuring a power output of only 2.2kW / 3hp, the Husqvarna 345 was obviously not made with heavy-duty work in mind. However, it is more than capable of performing simple chores around the home: trimming shrubs, pruning, cutting small trees, cutting firewood just to name a few. Low weight on all moving engine parts contributes to faster acceleration which is an added advantage and helps the user cut quickly and precisely. Rubber suspension in the carburettor and separation of the handles from the engine reduces vibrations and provides users with a smoother operation and the Smart Start™ feature makes for easy starting. The Husqvarna 345 has multiple safety features that will benefit newbies; a double acting chain brake, a right hand guard and a chain catcher. Other user-friendly qualities include a side-mounted chain tensioner, a centrifugal air cleaning system and an ergonomic handle. The 345 has been replaced in the current Husqvarna line-up by the Husqvarna 445, similar engine, a little more power and a tiny bit heavier. There are plenty of choices available on Ebay if you are considering buying brand new. The great news is that it’s not too late for your trusty 345 if you already own one or if you have one needing a bit of care. There a still plenty of spare parts available for this trusty saw and you’ll find a handy copy of the workshop manual on Scribd. What do people like about the Husqvarna 345? It’s clear from many forums that this is a trusty machine that people come to enjoy using. Most user find the saw easy to start, just a few pulls when cold and often first time once warm. If your saw is proving difficult to start then it’s probably time to get it serviced because poor starting doesn’t appear to be normal for this saw. Most people find the level of vibration acceptable so I guess the vibration damping features must work reasonable well! 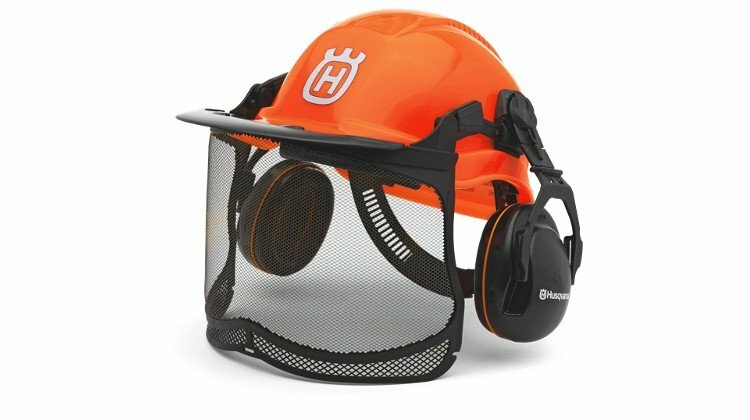 What complaints do people make about the Husqvarna 345? Not many! The only consistent complaint is that it’s loud. Of course that’s not unusual for a chainsaw… Wear ear defenders!